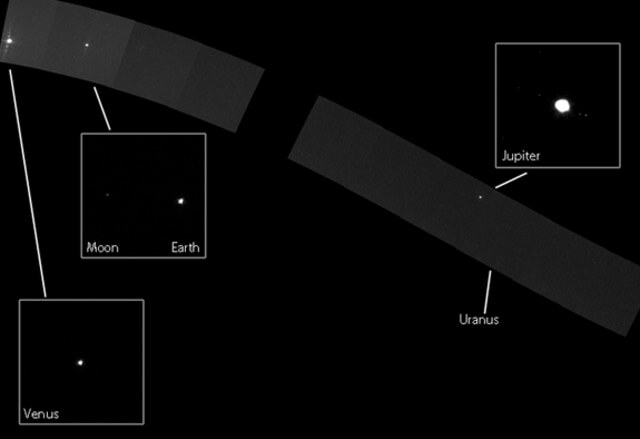 NASA's Messenger spacecraft, which is headed for orbit around Mercury, collected this series of images as part of a "family portrait" of our solar system as seen from the inside looking out. The majority of this mosaic was obtained on Nov. 3, 2010. This is just one segment of a wider mosaic available from the Messenger website.